Using this guide, check out some of Southern Kitchen’s tested and approved recipes for potluck appetizers, entrees, desserts and cocktails that you can confidently bring to your next soiree. Potlucks can be kind of hit or miss. We've all been in situations where co-workers, friends or family members have brought dishes from which you steered clear — or you've done it yourself. While on the surface, potlucks may seem easy, making anything in big batches can be a challenge. Even if you’re using some of your most time-tested recipes, scaling them up to serve a crowd can mean that they fall short of the flavor mark. To help ensure potluck success, make sure to consult this list of 15 inspired recipes to bring to your next event. We won't steer you wrong. 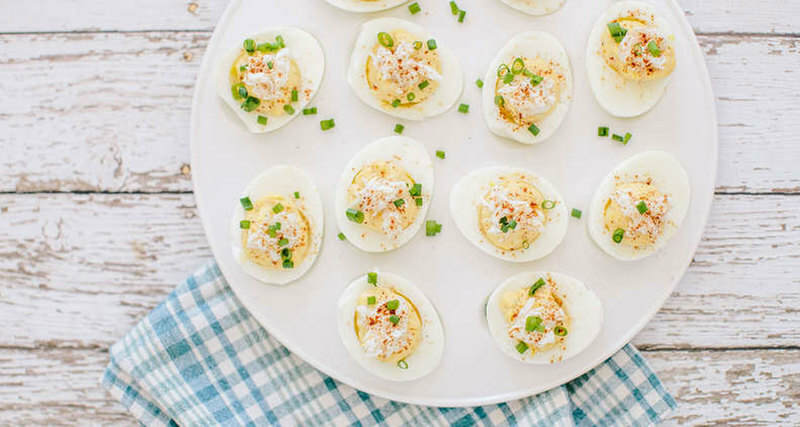 Deviled eggs can find their way into just about any spread for entertaining. For a fun, particularly festive twist on a classic, try mixing in crab meat and seafood seasoning. The richness of the egg can take the additional salt and heat, coming together in a mash-up of deviled eggs and crab salad. This easy-to-make appetizer gets its name from a Texas legend based on a city councilman named Bob Armstrong. As the story goes, Mr. Armstrong often frequented a particular Tex-Mex restaurant would always request something special that wasn’t on the menu. 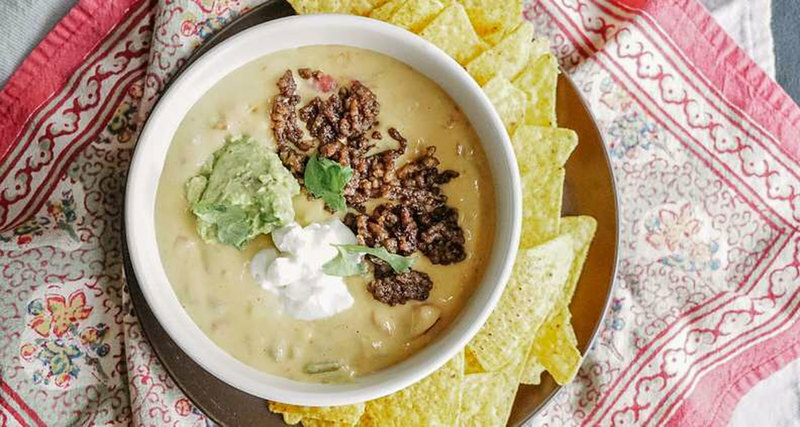 The chef on duty came up with the idea of combining the restaurant's standard chili con queso with taco meat, guacamole and sour cream, and the Bob Armstrong dip was born. 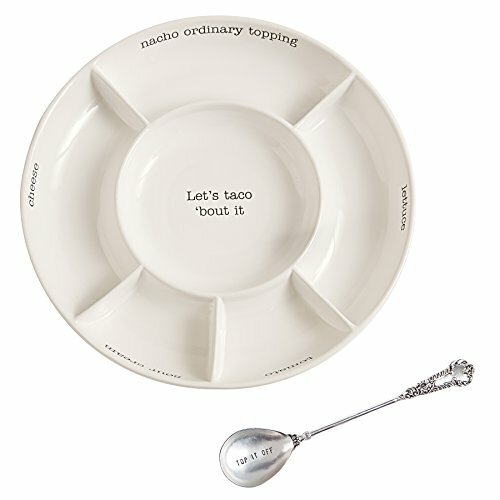 For this dish you can either mix the cooked taco meat into the cheese mixture or place everything on top and let your guests customize their own bite. Another plus? You can make and keep this dish warm in a slow cooker, making it easy to transport and perfect for your potluck. What could be a more classic appetizer than cheese and crackers? 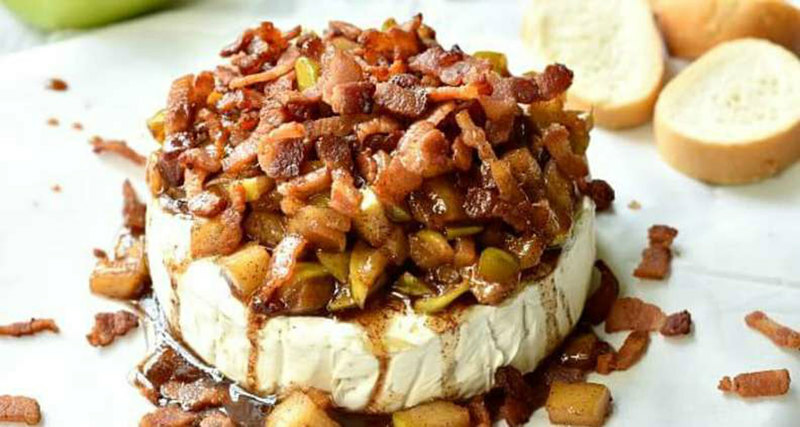 This version kicks up a favorite several notches by taking creamy brie and baking it with a heap of bacon bits. Perfection. The key to moving baked brie from the oven to a serving dish easily is baking it on parchment paper and keeping it there. Slice the top of the rind off the brie and move it (on the parchment paper) to a baking dish. When it's done, just take the whole baked brie, parchment paper and all, and move it onto a serving dish. This is a dish that no one will forget. Be prepared to constantly answer, “Where did you get this recipe?" 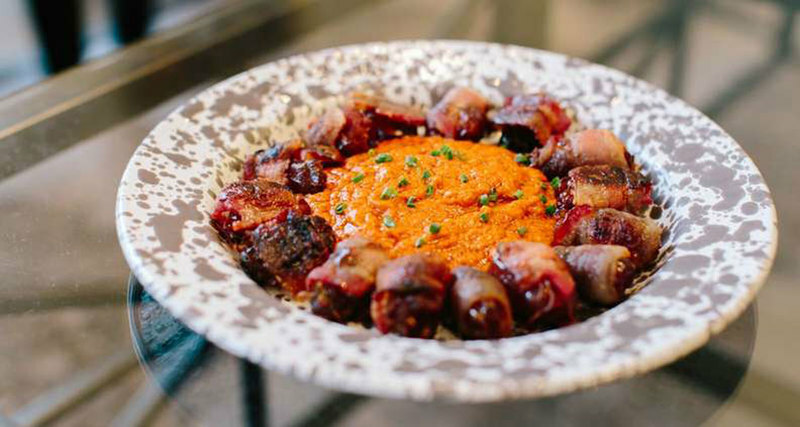 While it has its roots as a Spanish tapa, the ingredients — pecans, spicy andouille, and smoky bacon — are purely Southern. 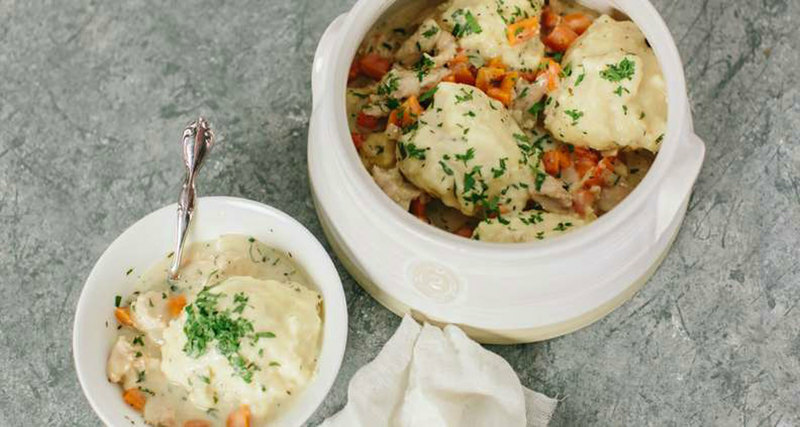 Is there a more Southern dish on this earth than a warming bowl of chicken and dumplings? This hearty stew is perfect for a potluck as it doesn't take much to make this meal. While dumplings can take on various forms, we like these drop biscuits for their softness and the fact that they help to slightly thicken the sauce as they cook. Even better? We’ve taken the liberty of loading this recipe down with shortcuts, so you won’t be stuck in the kitchen for hours before your event. 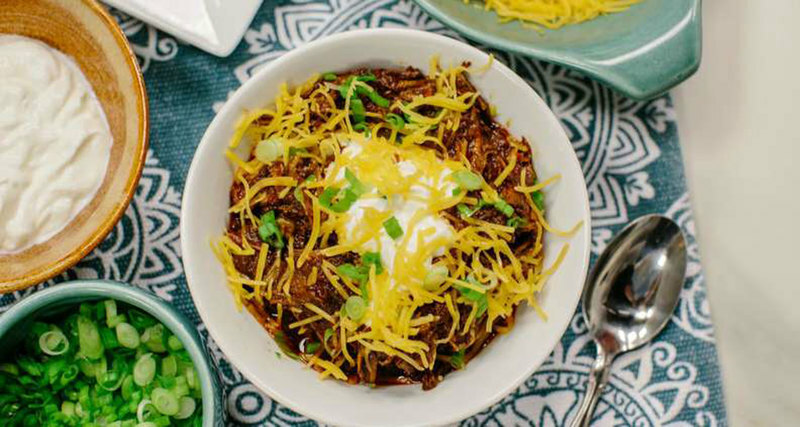 There is just something about chili that screams, "Bring me to your next potluck dinner." Filling, portable and completely customizable, chili should definitely be a dish you consider. While this recipe has a longer cook time than a chili made from ground beef, your patience will be rewarded with an intensely beefy stew thickened by the pureé of rehydrated dried chiles. Don’t forget to pack an array of cheesy, herby toppings! 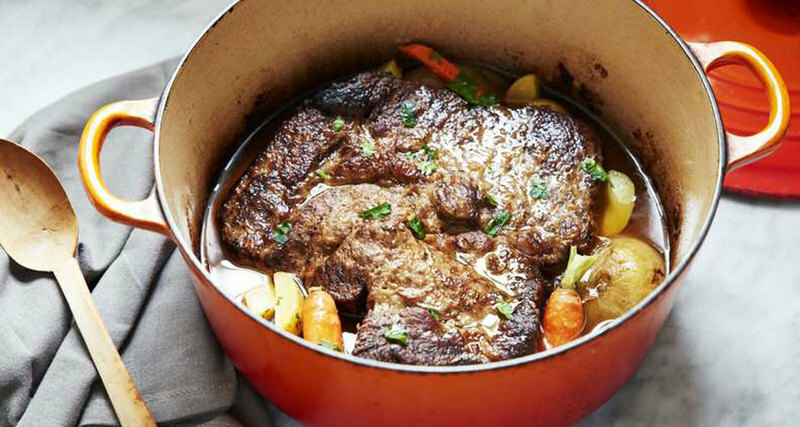 A properly made pot roast can be labor- and time intensive but man is the pay-off worth it. 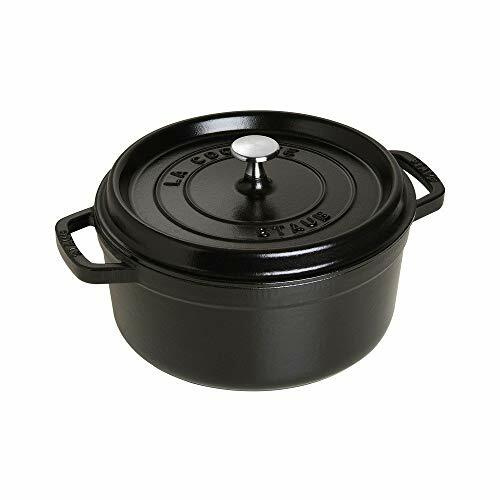 Pot roasts achieve their sought-after flavor and beyond-tender meat from low and slow cooking, which means a low, 300-degree oven and a long, three-hour simmer. Once done the reward is more than worth the wait. 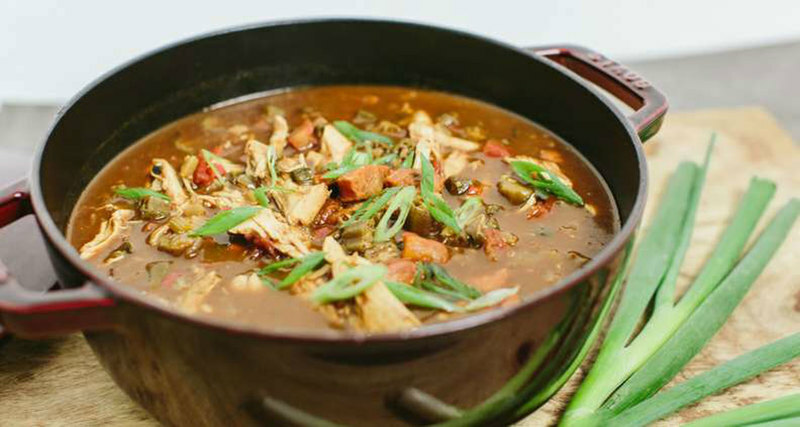 While there are several ways to make a gumbo, this one here requires a nice peanut butter brown roux, which means you'll be spending some time over a hot stove, stirring vigorously. This step cannot be skipped, as the roux is where your flavor bones are built. You can totally make this a seafood gumbo, but you could be potentially eliminating guests who either are allergic or just not fond of seafood. Keep it chicken and sausage and watch a line form from all those waiting to get their hands on a bowl of your dish. Here's an experiment to try: Yell out, "Warm chocolate chip cookie" and see how fast people show up. This dessert is absolutely perfect. First of all, it's a giant chocolate chip cookie. Second? It's made and served in a cast iron skillet. (Hello, crunchy crust!) 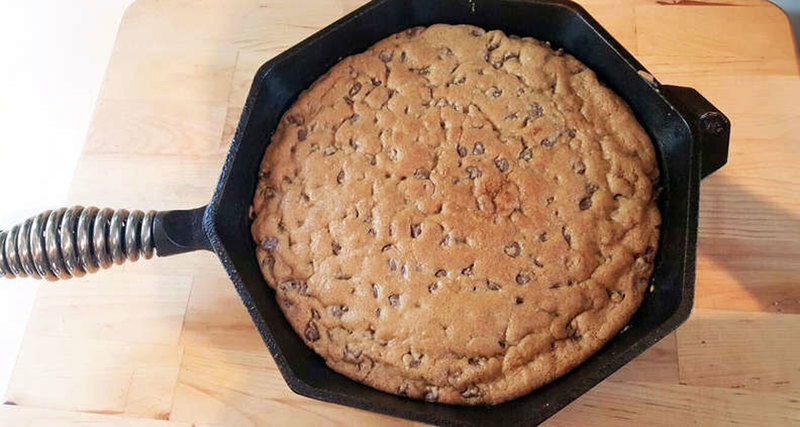 Should you happen to serve this fresh out of the oven, make sure you let guests know that it's a hot pan or throw a kitchen towel over the handle to make sure no one gets burned. Clafoutis is a French dessert that almost tastes like a hybrid of a cake and a flan or even a bread pudding. The hardest part of this dish is making the bourbon caramel sauce, which is to say, not hard at all. Serve warm with vanilla ice cream. Are you even a Southerner if you don't bring a peach cobbler to a potluck? 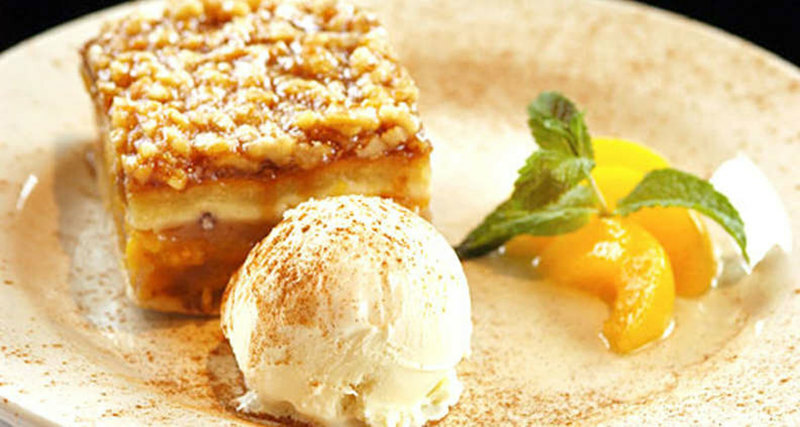 This double-crust cobbler is topped with a caramel-walnut sauce and served with vanilla ice cream. While the recipe calls for frozen peaches, you can certainly use fresh peaches when they're available. 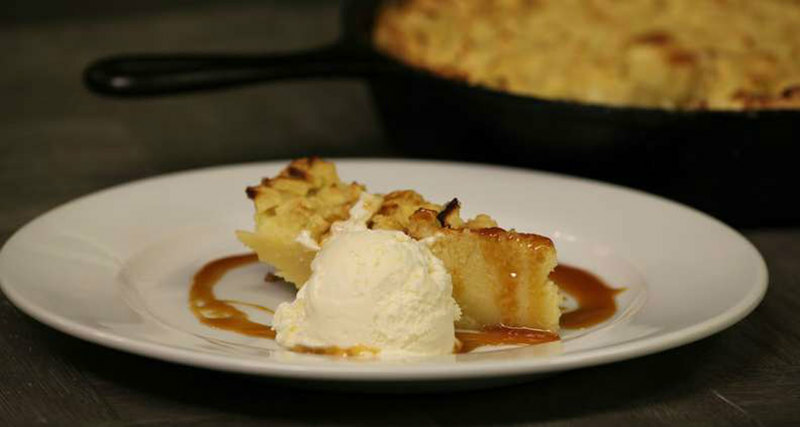 When bourbon is the main ingredient in a dish, how could you not make it? 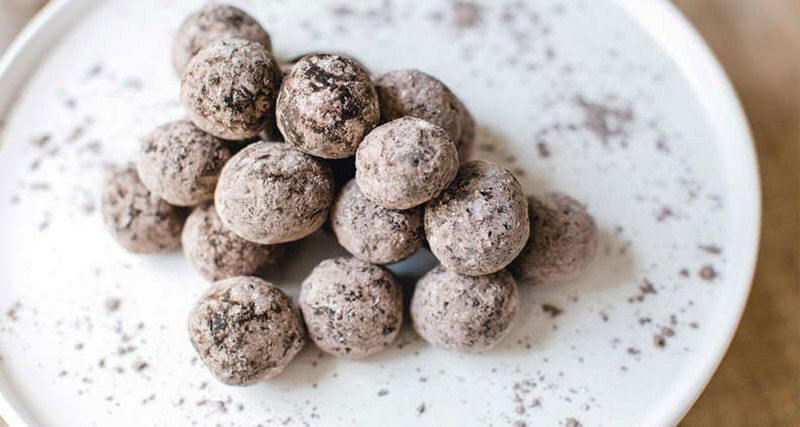 These bourbon balls are insanely easy to prepare and do not require much time to set up once formed. Since it’s being mixed with sugar, pecans and cookie crumbs, don’t waste your best bourbon in this recipe. This is an instance where budget-friendly bourbons are welcome. 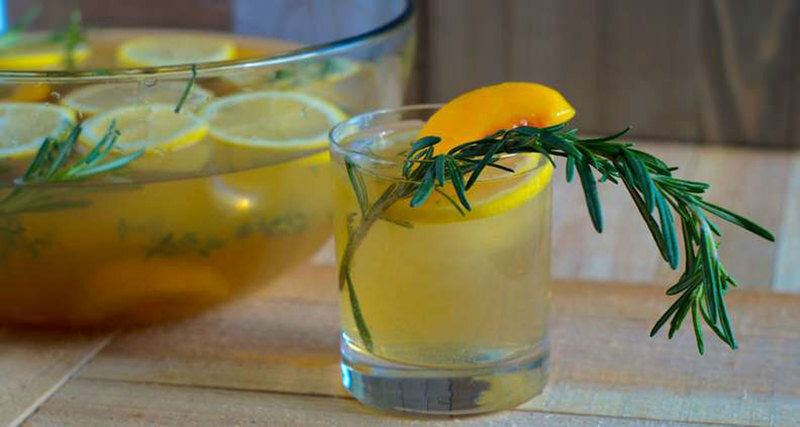 This big-batch boozy punch will leave your guests tipsy and pleased. Made with bourbon, frozen peaches, lemonade and a rosemary simple syrup, it's fairly strong but still full of fruity flavor. 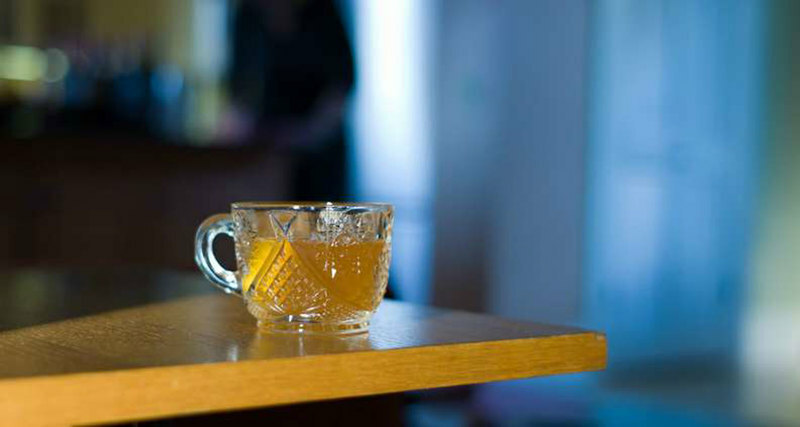 One of the oldest and most well-known American punch bowl recipes comes from Savannah, Georgia: Chatham Artillery Punch. Mixed in a bucket by the local militia, it was both a celebration and a challenge for visiting dignitaries in the early 1800s. 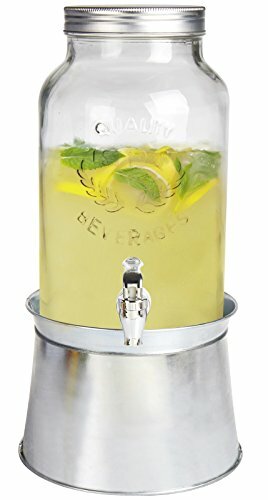 Booze-heavy, the punch is a mix of oleo-saccharum, or lemon-oil sugar, and the three spirits readily available in the mid-nineteenth century: cognac, rum and bourbon. It is topped off with equal portions of sparkling wine for a celebratory note. Spring for Champagne if you really want to impress. This is another recipe that can be made and served out of a slow cooker. 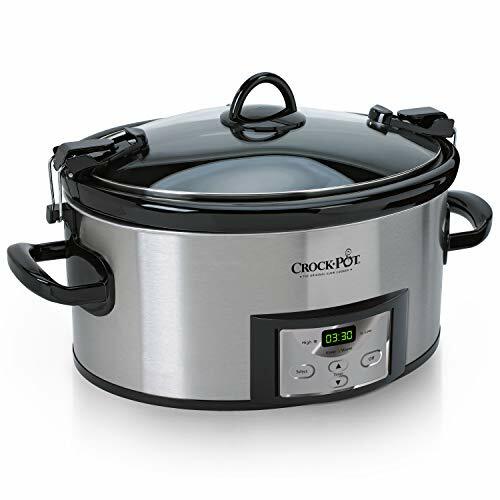 Just combine all the ingredients over low heat and let your Crock Pot work its magic for a few hours. 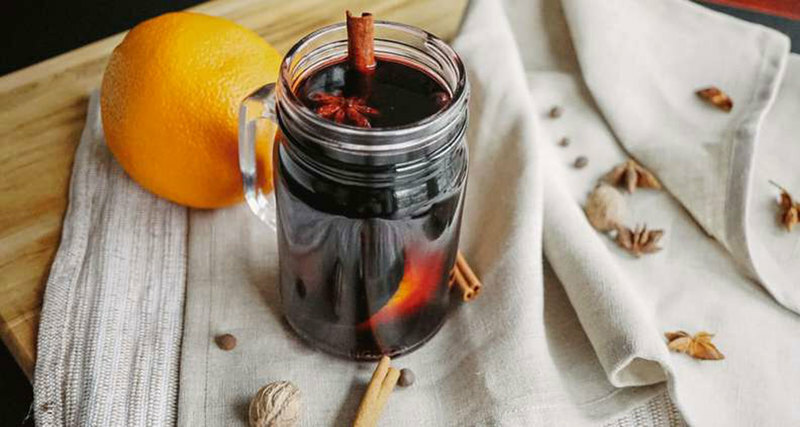 Because the sugar and spices would kill any of a good wine’s subtle nuances, be sure to use a less expensive bottle for this cocktail.